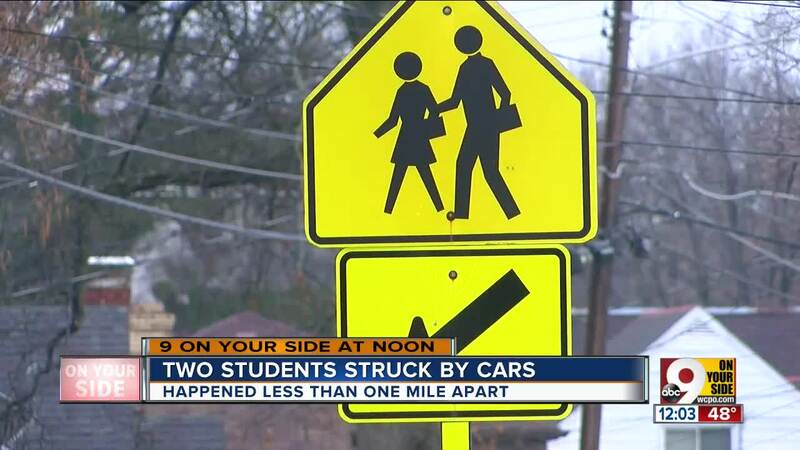 Less than a week after 12-year-old Kenya Austin was struck by a car while using a crosswalk, two more students from nearby schools have been hit as well. Parents and Cincinnati Public Schools officials said they believe the city needs to do more to ensure students in the area are safe. CINCINNATI — The driver who hit sixth-grader Devin Sullivan on Thursday morning stopped and waited for emergency responders to arrive -- that, at least, was a change. In every other respect, the incident resembled another that left a student hospitalized less than a week earlier. Like 12-year-old Kenya Austin, who was struck Dec. 14 while using a crosswalk on her way to school , Devin “flew” up and over the hood of the car, according to her mother. She hit the ground at the intersection of Cleves Warsaw Pike and Covedale Avenue conscious. 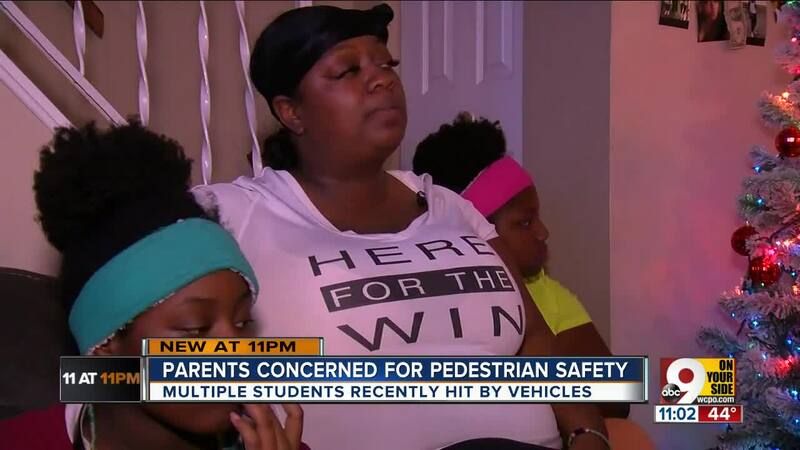 A half-mile away from that spot, flashing lights intended “as part of (Cincinnati Police) District Three’s effort to slow down traffic” failed to prevent a car from striking a 14-year-old Western Hills University High School student. Cincinnati Public Schools spokeswoman Lauren Worley said the boy, who had also been using a crosswalk near the intersection of Ferguson Road and Prosperity Junction, was taken into surgery shortly after the crash. Worley said the driver who hit the 14-year-old boy Thursday morning stayed at the scene and is cooperating with police in their investigation. Shelley Sullivan said she believes the three separate incidents illustrate an ever-present problem in the area surrounding Western Hills, Covedale Elementary and Gilbert A. Dater High School. 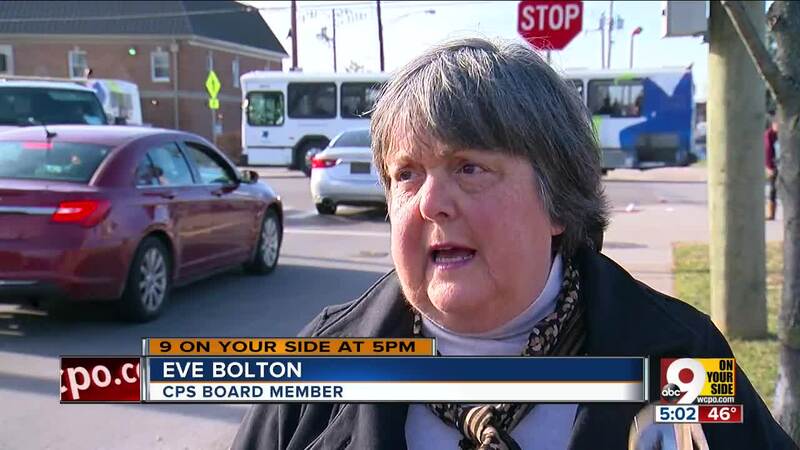 Eve Bolton, a member of the Cincinnati Public Schools board of education, agreed. “It's a city-wide, district-wide problem particularly elevated at our high schools because of a lack of great safety efforts,” Bolton said. She added she believed city intervention, possibly in the form of installing additional safety measures around the crosswalks each student had used, could help. Concerned members of the surrounding community said they planned a Friday morning rally across the street from Dater to put pressure on the city by illustrating the impact of driver-pedestrian crashes. Although Austin, Sullivan and the boy hit Thursday survived their respective impacts, not all of the 13 Cincinnati Public Schools students who have been hit since September were so fortunate. Fifteen-year-old Western Hills student Gabriella Rodriguez was struck multiple times before a hit-and-run driver killed her the morning of Sept. 10. One of the earlier drivers had clipped her and knocked her over with their sideview mirror. "I just didn't know what to think," Shelley Sullivan said. "It's just scary. It's sad." Anyone with information about the crashes should contact police's traffic unit at 513-352-2514.